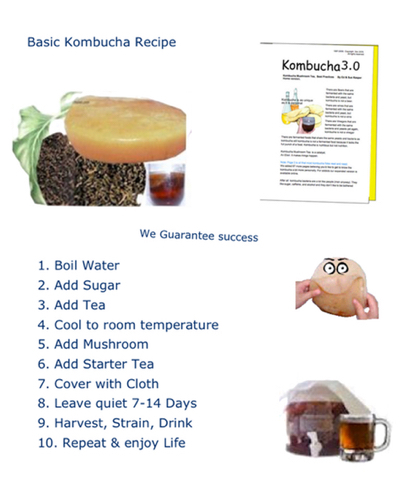 Below is a simple Kombucha Recipe. Most folks really do keep it as simple as possible and continue to enjoy Kombucha Tea. Simple and Easy SCOBY recipe. When your brew is ready, you should notice an apple-cider aroma. The pH when you began with all that sugar was about 4 - 5. The sugar is converted as it ferments, so day 6-8 the pH is around 2.7. Store bought Vinegar is about 2.0 Some folks like a sour tea others a sweet tea. Read more about pH. The consensus is that a kombucha that's fermented for 6-8 days at a constant 78 degrees F. will produce the best balance of beneficial nutrients as well as a semi-sweet taste.The Continuous Brewing Method does, IMHO, produce the best in terms of benefits as well as taste. Separate the mushrooms.You may either mushroom to start another batch. Or you may leave them together. Or you may give one to a friend. But you should always save one in case something happens to yours. To save extra mushrooms, place the extra ones in a large glass jar. Fill only 1/2 way with the mushrooms adding some fresh sugar and tea and allowing at least 1/2 to be empty for air. You may then cap and leave at room temperature. Do not refrigerate Every 2 weeks or so replace that tea with fresh sugar and tea and fresh air. This creates what we call a Kombucha Hotel. A Hotel is started exactly like you start a regular batch of Kombucha. Except you allow the Hotel to continue for up to 90 days, adding new mushrooms right on top of the hotel as they grow. Date the Hotel and refresh at least every 90 days. Save 1-2 full cups (10%) for a starter tea for the next batch. Save the brown sludge and squidly little things especially if your brew is short on the yeasty more carbonated side. Strain or discard those if you wish to increase the bacteria side of the SCOBY. opps, if your Kombucha Tea is too Sour. If your Kombucha Taste like Vinegar. ANALYSIS OF A KOMBUCHA FERMENT What did you do? Sugar, Honey and Fruit Juices, what sugar should I use. 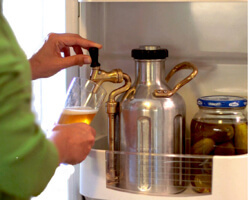 How Time and Temperature affect your brew. 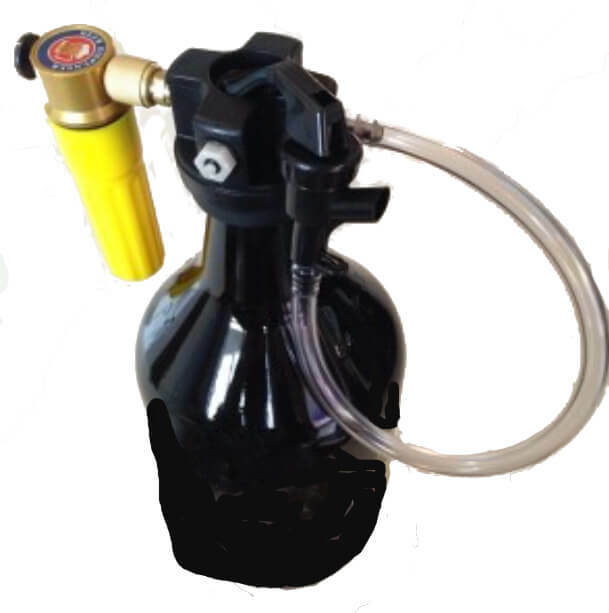 How to get more Carbonation in my brew and Growlers. Thank you for visiting our site. We are Happy to answer any of your questions and concerns, and to listen your comments. We apologize if some of the links are broken or missing. We just moved to a new hosting site and are trying to streamline our search patterns. We will be adding more research in the next few weeks and will continue to bring forth as much information as possible on making functional foods and drinks.